The Customs and Excise Department (C&ED) announced today (January 17) that the number of clearance points under the Single E-lock Scheme (the Scheme) in Guangdong Province increased from 32 last year to 51 this month, including the first customs clearance point set up in Zhuhai. The Scheme enhances cargo clearance efficiency and also benefits cargo shipments that are transhipped through Hong Kong using the Hong Kong-Zhuhai-Macao Bridge (HZMB). The Scheme was launched in March 2016 targeting intermodal transhipment cargoes between Guangdong and Hong Kong. Such transhipment cargoes include foreign goods arriving in Hong Kong by air which will be transhipped to the Mainland by land and vice versa. 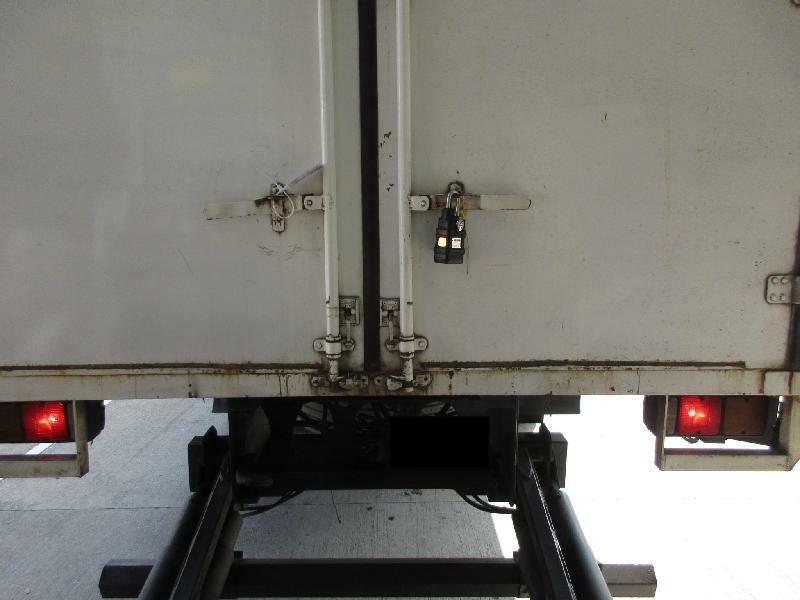 The two customs administrations make use of single e-lock technology and GPS devices to monitor the condition of goods during transportation. Accordingly, duplicated inspections of shipments by the respective customs authorities at the land control points can be reduced, resulting in streamlined clearance processing and speedy cargo flow. The Scheme is operating smoothly and has been well received by the industry. Last year, more than 6 million cargo shipments were handled under the Scheme. To cope with the development of the Guangdong-Hong Kong-Macao Greater Bay Area (Bay Area), the Hong Kong Special Administrative Region Government has been actively exploring with the Mainland authorities the extension of the Scheme to more parts of the Bay Area. Clearance points under the Scheme in Guangdong Province increased from 32 to 51 this month, covering various cities in the province, seven of which are in the Bay Area. 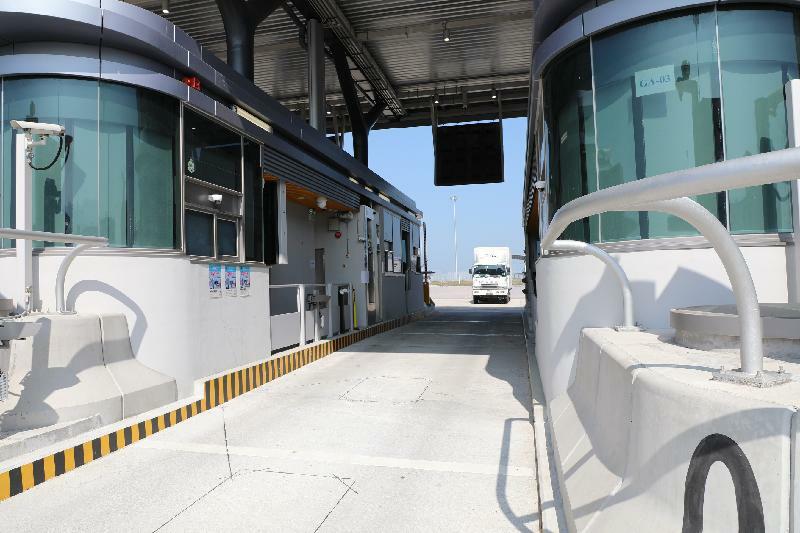 A spokesman for the C&ED said, "We welcome the expansion of the customs clearance points in Guangdong Province under the Single E-lock Scheme, including the first customs clearance point set up in Zhuhai. Expansion of the Scheme not only facilitates the industry, but also ties in with the logistics industry to make use of the new HZMB. "Today we saw the first truck on the HZMB carrying goods from Guangzhou to Hong Kong International Airport. "The level of cargo clearance facilitation for transhipment cargo between Hong Kong and the Mainland will be further promoted with the extension of the Scheme. The growth of the logistics and trade industries in Guangdong, Hong Kong and Macao not only promotes the economic development of the Bay Area, but also strengthens Hong Kong's position as a trading and logistics hub and enhances the city’s competitiveness." Looking forward, the C&ED will continue to explore actively with its Mainland counterparts for an extension of the Scheme to cover more parts of the Bay Area. It will also further encourage the logistics industry to participate in the Scheme to explore more business opportunities in the context of Bay Area development and the opening of the HZMB.